Sponsored by Victorian Trading Co.
Christkindlmarket, you can peruse an impressive selection of authentic German crafts, like cuckoo clocks from the Black Forest region and lace from Plauen. In Cincinnati, sample spicy glühwein (mulled wine) at Cincideutsch Christkindlmarkt. The thing is, these open-air markets are all fun and games until somebody gets frostbite. At the end of the day, nothing beats the ease of shopping from your sofa with the heat cranked to a cozy 74 degrees. If you’re worried skipping Christkindlmarket means you’re relegated to shopping at boring big-box retailers, think again. 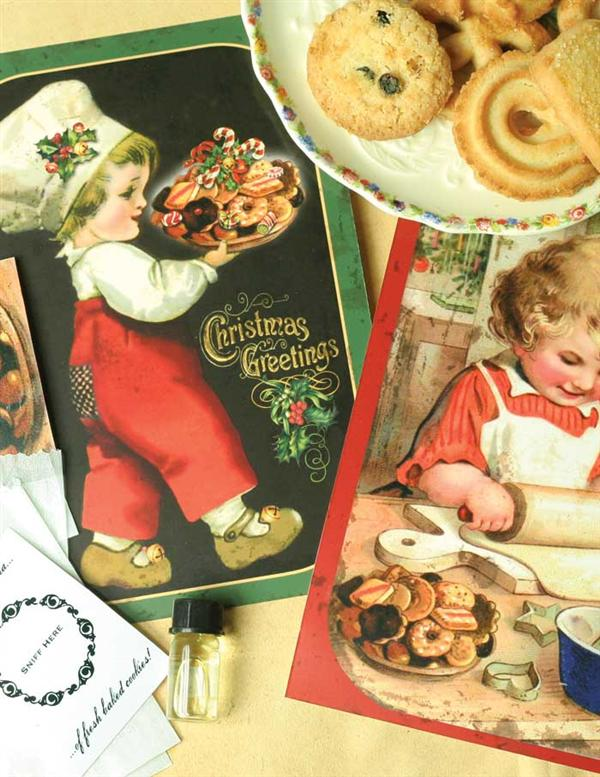 Victorian Trading Co., originally purveyors of antique reproduction stationery, offers a staggering variety of beautiful, winsome gifts for everyone who delights in the comfort of hearth and home and simple objects well-made. And who doesn’t want that? 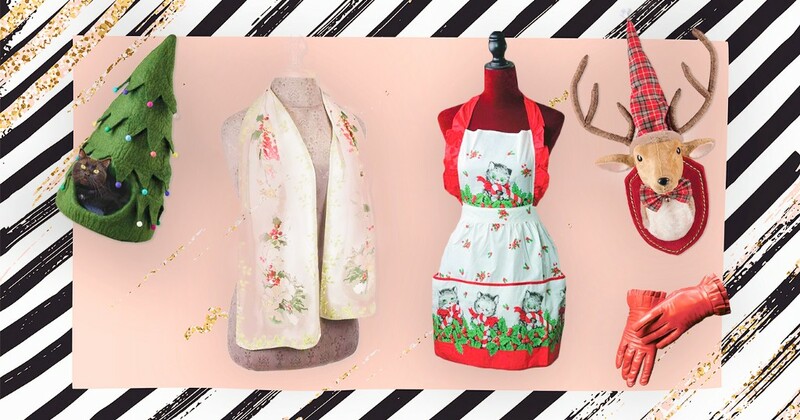 So, without further ado, here are the top 13 items on our Victorian Trading Co. wish list. You’ve got to get Mom her annual ornament, so make it an adorable one. 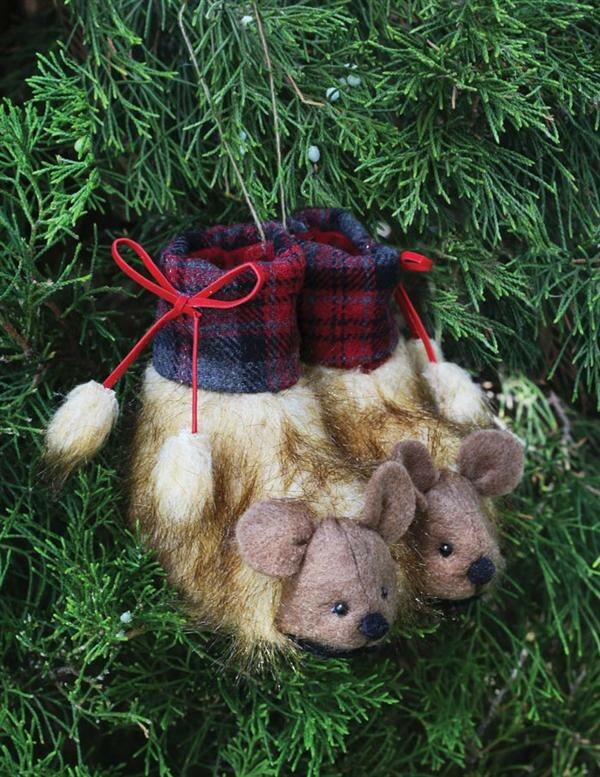 You’ll wish these Macgregor Mice Flannel Slipper Ornaments were warming your tootsies instead of a tree branch. 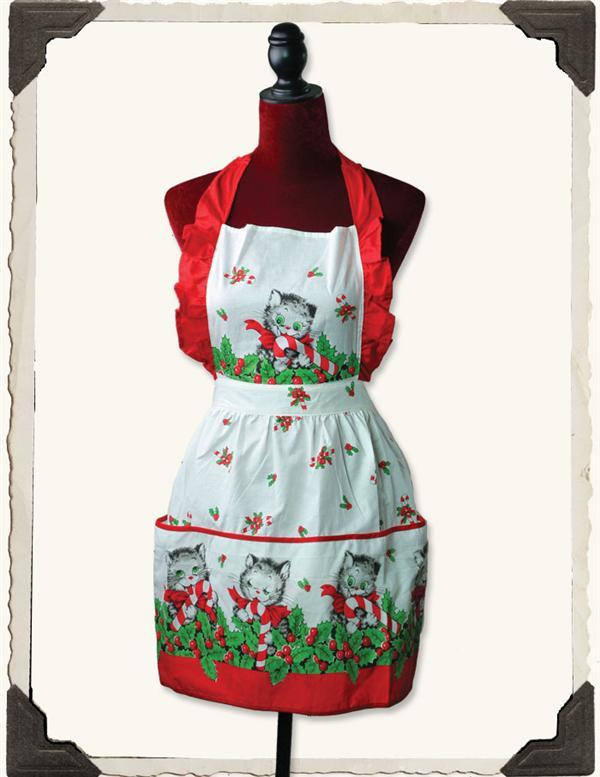 For the friend proudly blazing a path to crazy-cat-lady-hood, this Candy Cane Kitty Pinafore Apron is a no-brainer. 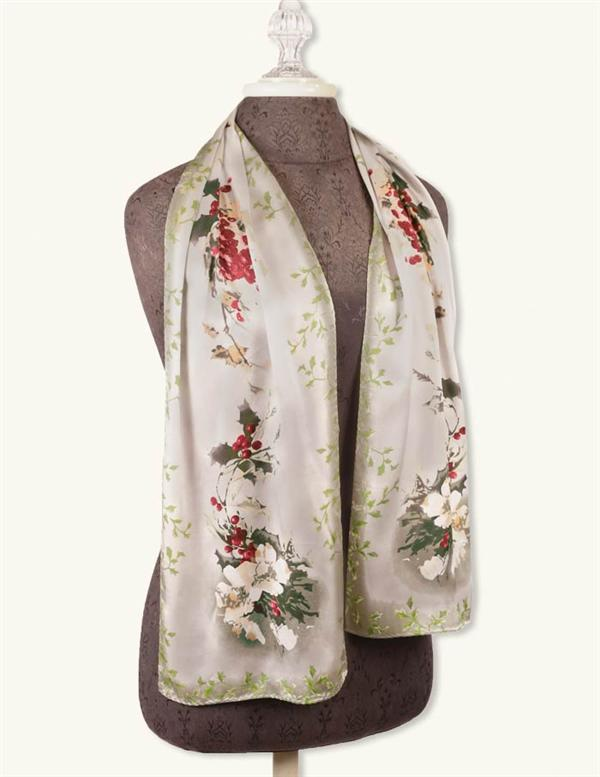 This Holly Scarf covered with a 100-year-old print adds instant yuletide charm to any outfit. 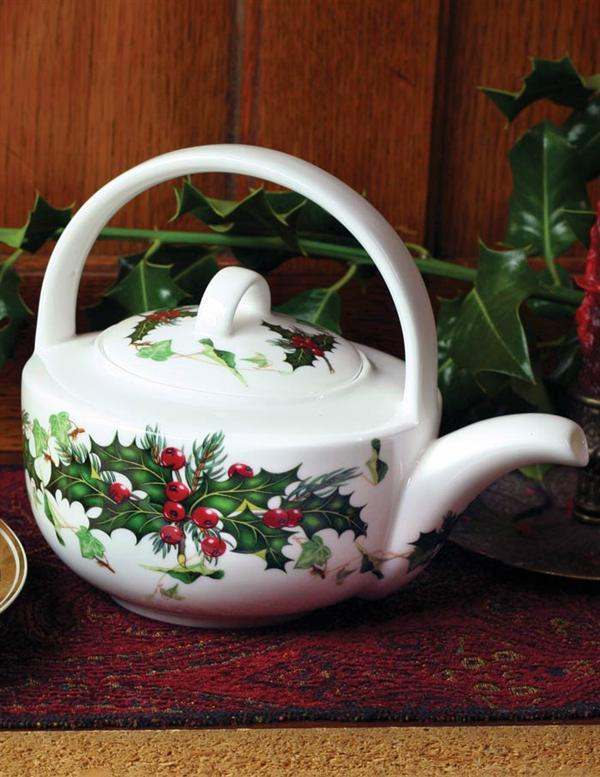 A spot of tea is extra comforting when poured from this beautiful Holly & Ivy Teapot. Hang this beautiful (and everlasting!) 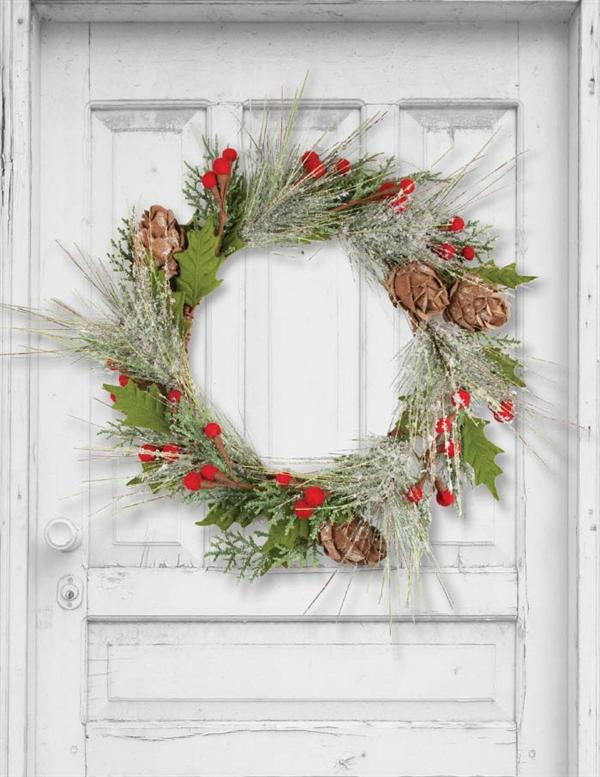 Winterberry Evergreen Wreath on your door to signal to guests the warmth and comfort they’ll find inside. Why should luminaries be relegated to the outdoors? 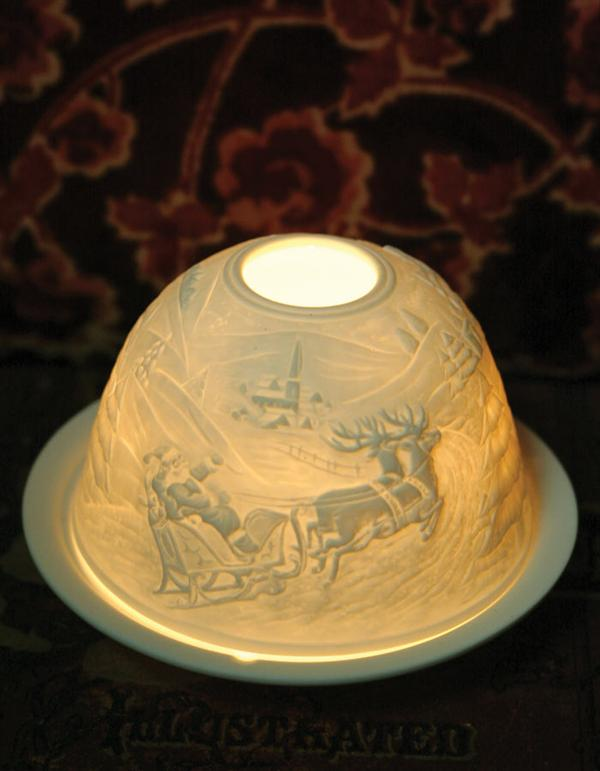 Bring their flickering light inside with Santa’s Tally-ho Lithophane in porcelain bisque. 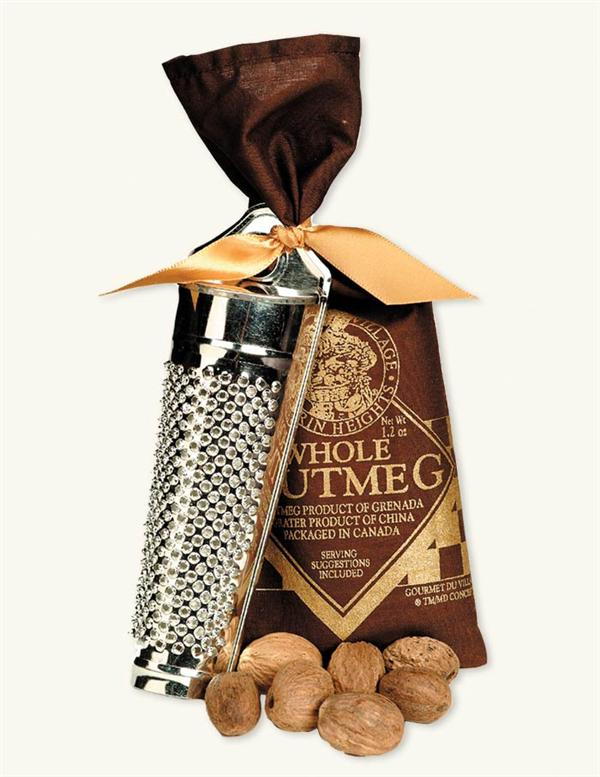 Gift this Fresh Nutmeg & Grater to your foodie friend and she’ll think of you every time she sips eggnog or a latte topped with the spice. Wait a second—did we say “COOKIE-SCENTED greeting cards? !” Oh yes, we did. This pack of 10 cards comes with sugar cookie oil that you dab on die-cut cookies to slip inside each folded greeting. 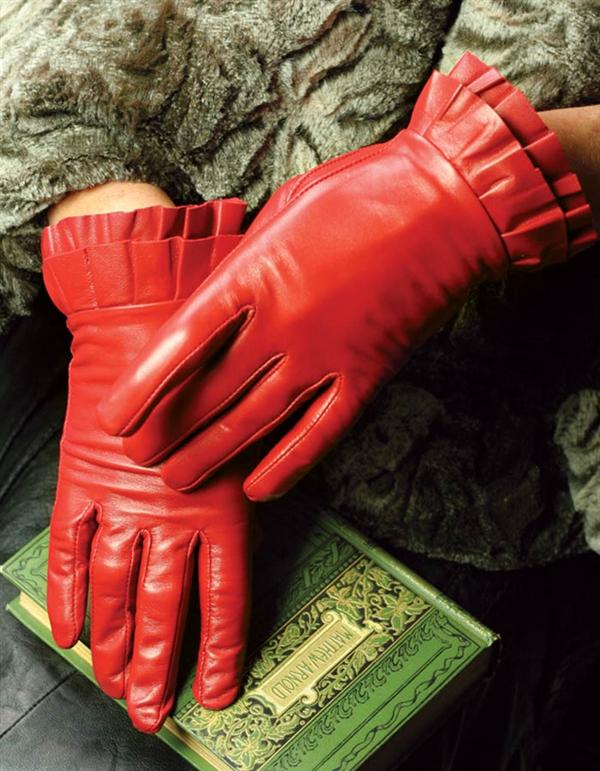 For the holiday ingenue in your life, nothing beats the drama of these red leather gloves with ruffled trim. You know who she is. Has your kitty been extra nice this year? Or are you just looking for a decoy to distract her from the real balsam fir in your living room? 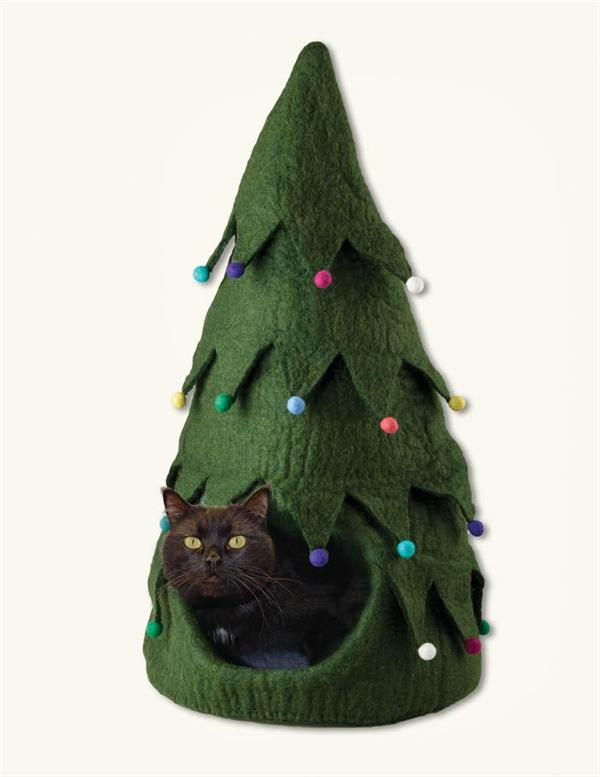 Either way, this cat cave fits the bill. Taxidermy that’s short on cruelty and long on cuteness. 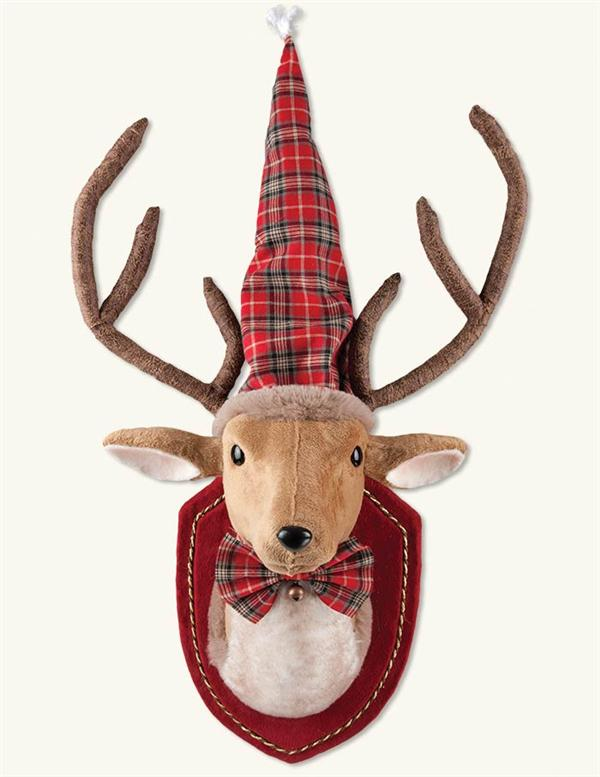 No reindeer were harmed in the construction of this whimsical wall art. 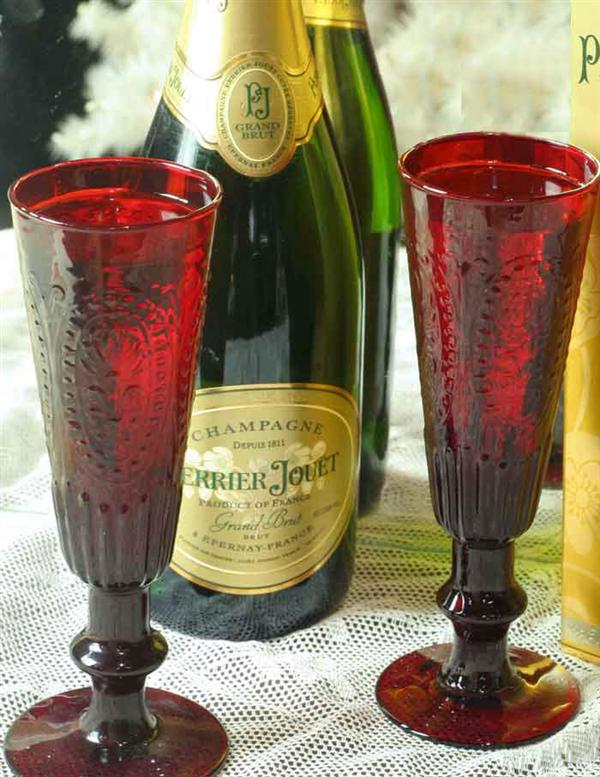 ’Tis the season for decadence, and that calls for bubbly served in vessels that are far from quotidian. We simply can’t enough of this chapeau and matching muff set fit for a Snow Queen.